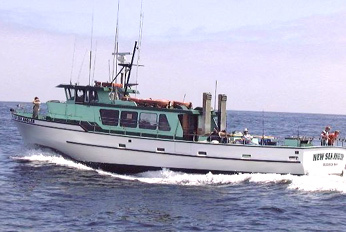 Rick Powers, skipper of the New Sea Angler out of Bodega Bay Sportfishing called in today with a report. 13 Anglers took full limits of excellent quality rockfish, they fished down towards Point Reyes. They also pulled in 116 Dungenese Crabs that were up to 3 pounds. Along with 28 rock carb up to a pound and a half. Ocean conditions were excellent. No wind, no swell, beautiful day. Excellent salmon conditions.